The latest addition to the Auto Torque fleet has arrived. 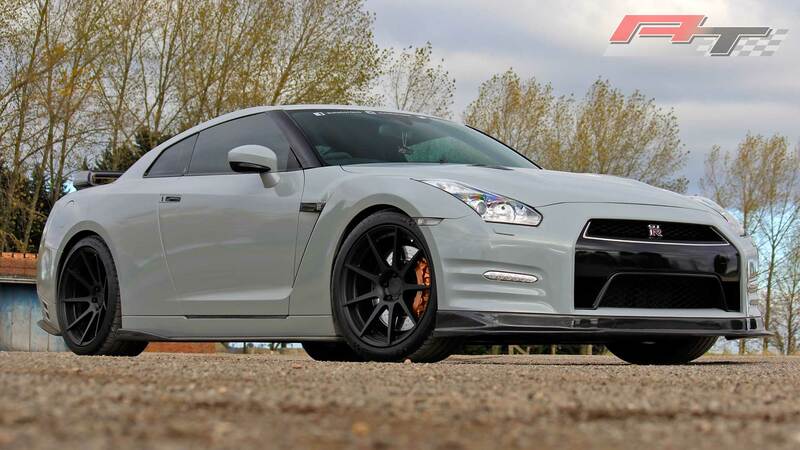 We had been searching for a quite a while, trying to find a suitable base car for us to develop various parts of our own, for all-round road and track use. 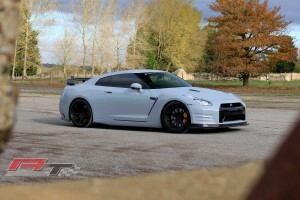 The result of our search is a low mileage MY12 Recaro Edition GTR in Storm Pearl White. This particular car nicknamed ‘Robot 2’ is set to enter the workshop in October and undergo the first of it’s changes. Follow us over the coming months to see what new and exiting products we have in store for this superb platform. 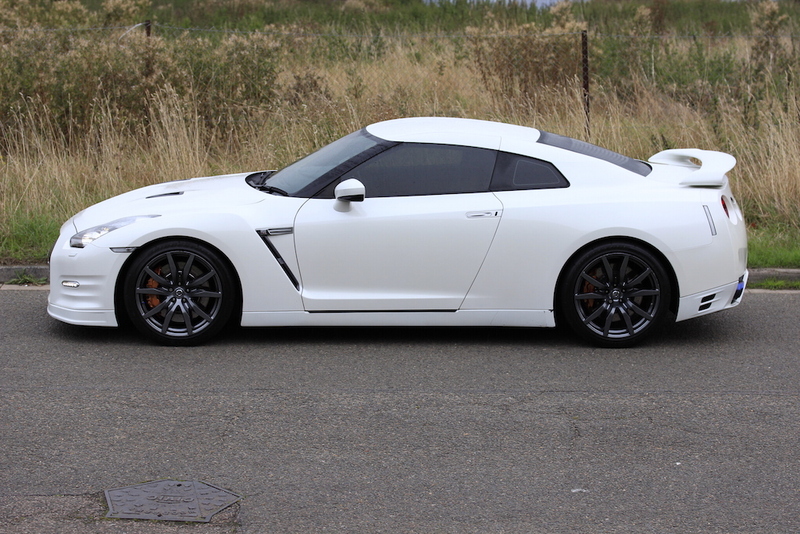 Here she is, a plain white Recaro GT-R with a small amount of upgrades already installed. These will all be superseded by the plans we have in place for the car, check back here for updates. During October 2016, the GTR has undergone a few cosmetic changes. First up, we replaced the underwhelming standard rear spoiler for an upgraded Carbon Fibre item with accentuated rear edge for more aggressive styling. To compliment this we upgraded the front lip to a Carbon fibre unit also. 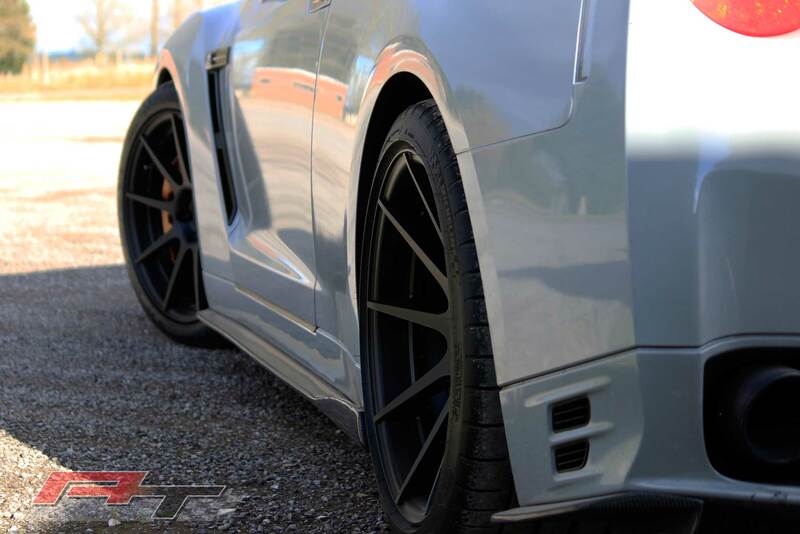 For maximum impact, we had the car wrapped in the infamous Nardo grey, and installed a set of 20″ BC Racing wheels in matte black, let us know what you think! Once all the cosmetic changes were carried out, the car was sent to the dyno cell to see what it was producing. A ‘Stage 4’ upgrade had already been carried out by another company, the result of this is that the car produces a lot of exhaust soot in it’s current guise and also has room for improvement in the gearbox mapping. A power output of 616 BHP was recorded and now work is underway to produce more power, with less soot and achieve increased drive-ability. 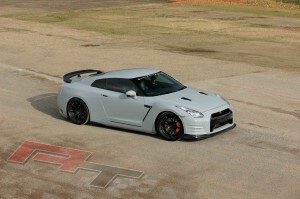 Next on the list for the GT-R is custom boost pipes, Hybrid turbochargers, Suspension package and 700 BHP !